Whether or not Isn’t It Romantic intended to actually do so, this unusual and ultimately soft-hearted fairy tale ends up becoming a love letter to the long line of romantic comedies. The film defines them, skewers them, honors them, and marks its place as an outstanding part of the lineage in the process. It’s just such an irresistible film, so self-aware and shamelessly self-deprecating with its sharp meta sense of humor, and at the same time Isn’t It Romantic sneaks in a few incontestable truths along the way. In this movie we’re reminded that we need to be open to the world around us and that you have to love yourself in order to fully love others. I laughed a lot and even learned a little. What a great surprise. 12 year-old Natalie (Alex Kis) fawns over and falls for Pretty Woman as it plays on the old box TV. Then Mom (Jennifer Saunders) walks in, clutching a pint glass filled to the brim with cheap boxed wine, shooting down her daughter’s dreams and babbling on about how women like them – without Julia Roberts’ hair or smile or furless gap between her upper lip and the tip of her nose – will never get such a romantic story. 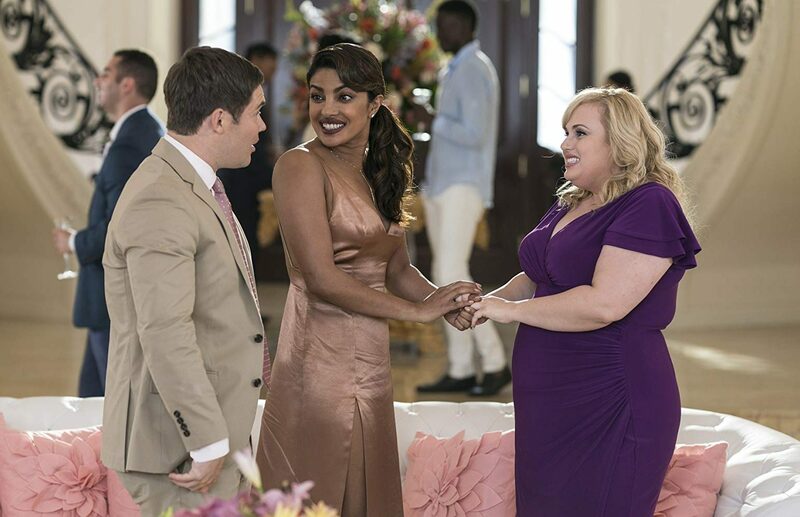 Flash forward 25 years and that opening scene seems to have shaped Natalie’s (Rebel Wilson) outlook on love and life itself. Her tiny New York studio apartment is cluttered, her dog in need of a bath, her work environment no better. She’s an architect, albeit mostly relegated to designing parking garages, as well as the office pushover. Natalie does what she’s told, so heartbreakingly lacking agency in her own pursuit of happiness. Then she’s mugged on the subway and hits her head and wakes up in her absolute worst nightmare: a specifically PG-13 rated romantic comedy. Cue the groans and the bleeped F-bombs. 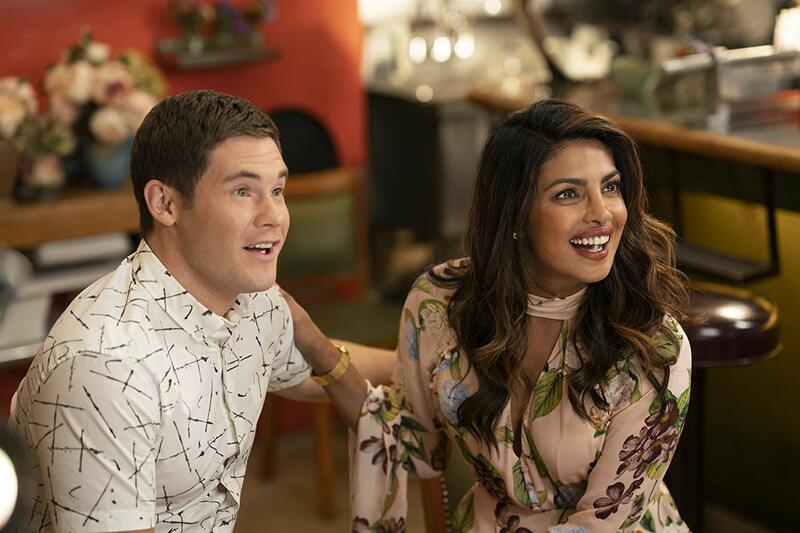 Isn’t It Romantic brilliantly and briskly edits scenes where Natalie goes on a tirade about the rom-com genre, sharing barbs with her assistant Whitney (Betty Gilpin) and her co-worker Josh (Adam Devine), setting up all of the little details we’re soon to encounter as she enters this nightmarish state. Whitney transforms into the bloodthirsty and bitchy enemy, her sketchy neighbor Donny (Brandon Scott Jones) turns into the offensively standard flamboyant / frantic gay best friend. 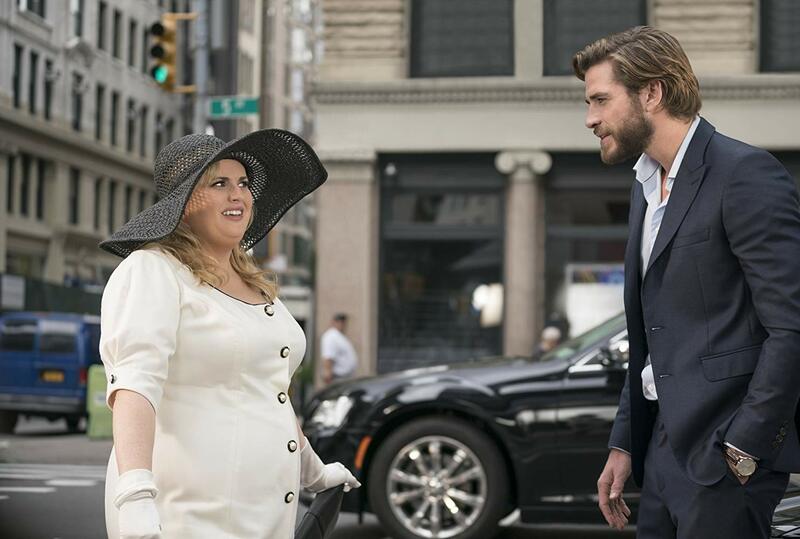 She’s even wooed by Blake (Liam Hemsworth), a disinterested American businessman who becomes an Australian with an eye for Natalie and is well-endowed enough below the waist to make up for his small vocabulary. Everything and everyone has changed except for Josh. He remains the lone constant. Josh blindly falls for supermodel and yogi influencer Isabella (Priyanka Chopra), Natalie wonders what needs to be done to escape this fate, and all the while the film does in fact feel romantic, if not more so sentimental for another try at the life she unrightfully hated. As such, it’s not enough for a friendly picture like Isn’t It Romantic to create a high concept story if the script doesn’t intend to follow through on or to explore the built-in potential. And that’s why the movie is such a success. This is the kind of love affair that lays the tracks, pulls the train, and populates every car with carefully written characters who resemble the standard rom-com players except with a unique spin and personality. And while I’d argue it’s a little too short to be considered great – some scenes needed more time, even though it is better to run brief than to run too long – Isn’t It Romantic blends true laughs and honest romance better than the vast majority of those that this genre has produced in recent memory. With plenty of hilarious music cues to Vanessa Carlton’s “A Thousand Miles,” a big karaoke sequence that genuinely belongs in the pantheon of the genre’s most delightful moments ever put to film, and a stunningly perceptive scene where a simple shift in perspective brings everything into focus, Isn’t It Romantic empowers love through the tropes and the clichés of the movies we all watch with cheesy grins and open hearts and watery eyes. The only difference is that most of those stories revolve around finding happiness in the form of another person. 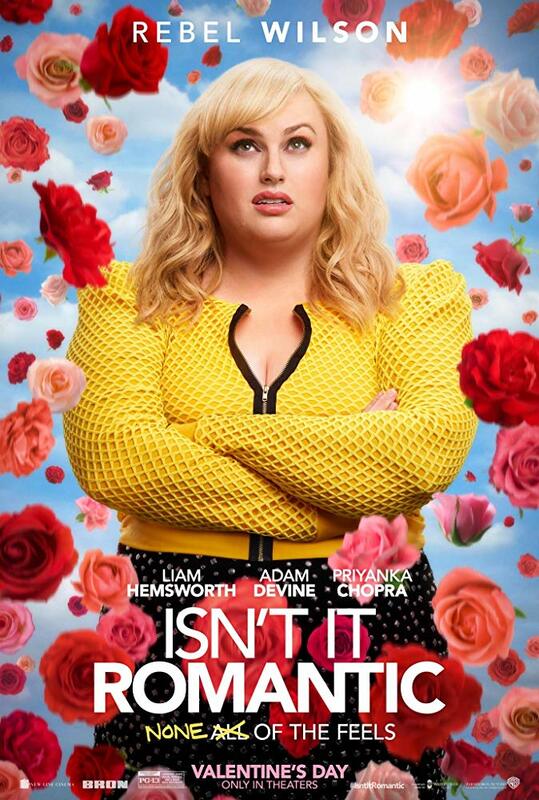 Yet through Rebel Wilson’s transition from a sheepish woman to one beaming with self-esteem, as well as the vision from director Todd Strauss-Schulson (who proves his excellent 2015 film The Final Girls was no fluke), Isn’t It Romantic doesn’t need to have a question mark at the end of its title to confidently sell its statement. After last year’s string of romantic-comedy successes, this one shows they can be revolutionary, and as is often said throughout, effectively beguiling to boot.